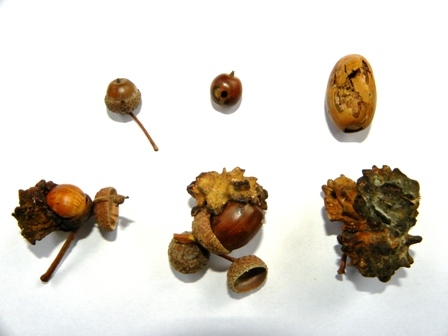 During autumn 2009 we attempted to collect seeds (acorns) from the OneOak tree to grow on as the new generation of OneOak trees. This part of the project will help us communicate the cycle of life, and help demonstrate the sustainability of forest management. Oak trees produce acorn crops every four to seven years - 'mast years' - but unfortunately 2009 was not a mast year. The OneOak tree did not produce a single viable acorn, so oak trees across the whole Blenheim estate were searched for acorns. These included plantation-grown oaks similar to the OneOak tree, beautiful oaks from the Blenheim Palace arboretum, and ancient oaks from the estate that were 500 years or older. 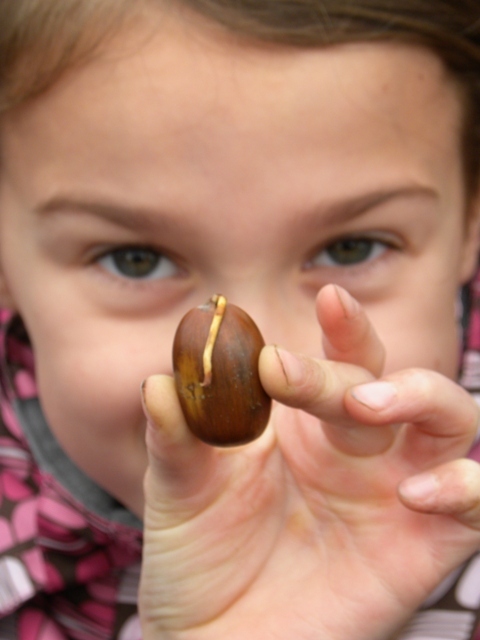 In total 1380 acorns were collected by children and by Blenheim staff. Children from Bladon C of E Primary school, with the help of Oxfordshire tree nursery Nicholsons, prepared the seed for sowing. Niel Nicholson of Oxfordshire-based nursery Nicholsons said "This project is a fantastic way of getting the children involved in a way that will teach them the whole lifecycle of a plant. What this means and how the felling of a tree is the end of one life, but the start of many others and how the timber from the one tree can be made into many different products that will be around for a long time to come." Niel showed the children how good seed (acorns) will sink in water and the children then worked to separate the floating seeds from the healthy sinking seeds. It was disappointing to find that from our collection of around 1380 acorns, only 50 were probably healthy seeds but undeterred the children got to work sowing the 50 healthy seeds in the rootrainers. Nicholsons successfully raised 50 seedlings in their nursery in North Oxfordshire over the summer of 2010. Every child who watched the tree felling in January 2009 returned to the woodland to each plant an oak seedling in January 2011.